Established as a bird sanctuary in 1952, the Rondevlei Nature Reserve is today a well-run nature reserve. 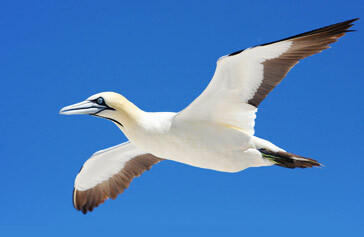 It houses a museum, an auditorium, numerous footpaths, viewing towers and several bird hides named after famous birders. There is a permanent wetland with Cape Flats sand fynbos to the north and seasonal wetlands together with the Cape Flats dune Strandveld in the south. The Rondevlei Nature Reserve is located just a short drive from Cape Town city centre and Muizenberg. It forms part of the greater False Bay Ecology Park and offers a unique eco-experience in Cape Town. Despite being in the middle of a city, one feels as if one is on a get-over in the midst of unspoilt natural surroundings. The Rondevlei Nature Reserve is the abode of around 230 bird species, as well as many reptiles and mammals. It also consists of a small hippopotamus population. In fact, the park is the only reserve in Cape Town which is home to hippos. You can just figure out their footprints in the mud if you make it there early in the morning. Alternatively, if you are lucky enough, you can, maybe, spot a hippo from one of the two viewing towers. This spot is also popular with bird-watchers and walkers. There is an attractive path along the water’s edge and six hides for keen twitchers. Pack your binoculars, head out from the bustling city and enjoy the company of the feathered species! The Rondevlei Nature Reserve is alive with ducks, herons, ibises, gannets, egrets, pelicans, weavers and a lot more. Be prepared to watch for them in one of the bird hides. Apart from the fauna, the flora in the park is well worth having a closer look at its splendid fynbos which are found only in the Western Cape of South Africa. Roughly 280 species of indigenous plants grow here. The nursery at the entrance is worth a visit if you are keen of water-wise plants. At Rondevlei, rare and endangered plants are strongly nurtured. 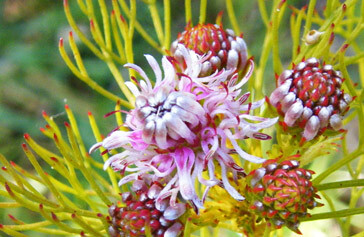 These include the Cape Flats cone bush, the Rondevlei spiderhead and the Cape Flats erica, which became extinct in the wild. While keen anglers might like to cast a line for carp, those interested in the park’s history and animals should pay a visit to the reserve’s Leonard Gill Museum. You can also stroll at leisure on the network of footpaths that take one through the reserve. Visitors wanting a little more leisure time can be accommodated in the overnight bush camp in the park. Chartered boat trips are also available. It is a great way to see some of the diverse wildlife from the water.